Working with school children has been a major focus of Ray Cornils’ work as Portland Municipal Organist. For more than a decade, he has worked with classroom teachers to develop interactive and interdisciplinary curricula that use the organ and the music of Bach and Messiaen to teach music, history, physics, science, art, creative writing, movement, and videography. This workshop explores both in-school programs and concert experiences that introduce the pipe organ and its music to the next generation. Examples of curriculum materials and projects are shared. 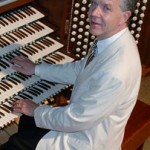 Ray Cornils is the Portland municipal organist, a post he has held since 1990. As minister of music at First Parish Church, UCC, Brunswick, Maine, he has led a program of five vocal and two handbell choirs for twenty-seven years. 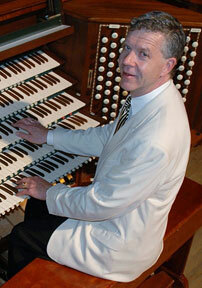 He is convention coordinator for the 2014 National Convention of the American Guild of Organists. Known for his teaching skills for all ages, he leads the education programs of the Friends of the Kotzschmar Organ, an extensive array of in-school programs about the pipe organ and its music for elementary, middle, and high school classes. He is a member of the music faculties of Bowdoin College and the University of Southern Maine. He has concertized throughout the United States, Europe, and South America, and performs regularly with the Portland Symphony Orchestra as organist and harpsichordist. He received degrees from the Oberlin College Conservatory of Music and New England Conservatory.